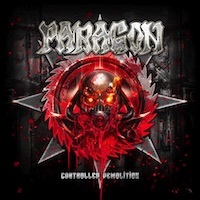 Controlled Demolition makes it a dozen albums for the German heavy metal band Paragon, the debut EP was released in 1994 and the first album was released the following year. So they have been around for quite a while and has a fair bit of experience from the metal world by now. This new album doesn’t really have the best artwork, but that is probably true for most of the albums by Paragon, the ones I own don’t have a good artwork. But the cover isn’t really what matters, I know these guys a little bit owning a few of their albums and from what I know is that they stay true to the heavy metal traditions and they haven’t really changed much over their albums and they play fairly typical heavy metal. Heavy or speed metal is what we can call this album’s style, quite heavy and energetic and it is a rather catchy album with pretty strong choruses. Good energy, that is probably the most striking thing when listening to the album. The catchiness will probably go down well with fans of the heavy metal genre. 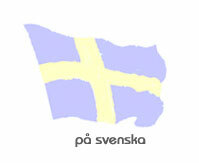 The same can probably be said for the lack of fresh ideas and the fact that they never dare to think outside the box. But the sound is fine, good, powerful, modern with a nice roughness to it – the singer too has some roughness to his voice, something that fits very well into the soundscape of Paragon. It is an album that has the usual variation of songs for an album of the heavy metal genre, and I think that the album is a bit on the longer side especially the CD-version that plays for about fifty minutes. A pretty good album overall, good songs and energy with no weaker song and the weakness is a longish playing time and lack or originality; and perhaps also the fact that it sounds very similar to the other albums by Paragon that I have heard and like many other albums in the heavy metal genre. Abattoir is the song I like best on the album, it is good and catchy but none of the songs strikes me as very memorable so the album is a solid one that is enjoyable for a while but then soon forgotten. The fans of the band will find it both good and familiar and the same can probably be said for the fans of classic heavy metal, but it is probably not an album that will make much of an impact in the history of metal music. This twelfth album by Paragon is a solid one with good songs and all, recommended for the heavy metal fans and a good showcase of a band that do their thing well. They may not be creatively interesting or exciting but they are good and dependable metal craftsmen and that is enough for many of us. I think it is an album worth checking out.